Costume #2 for this one. 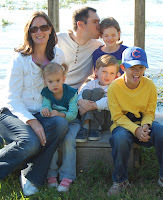 Her preschool class had a community helper party today in lieu of a Halloween party. When she decided to be an animal doctor I just couldn't help myself. 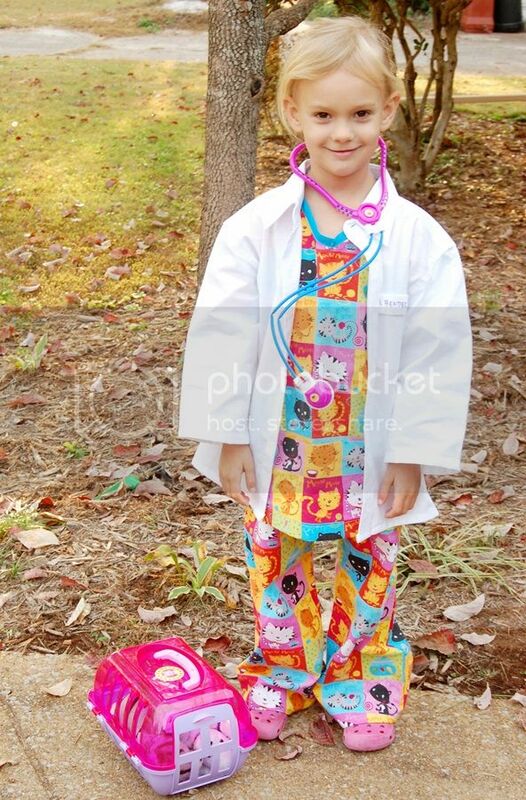 I found this adorable kitty fabric and made some super simple scrubs and doctors coat. I used an old pants pattern for the bottoms. 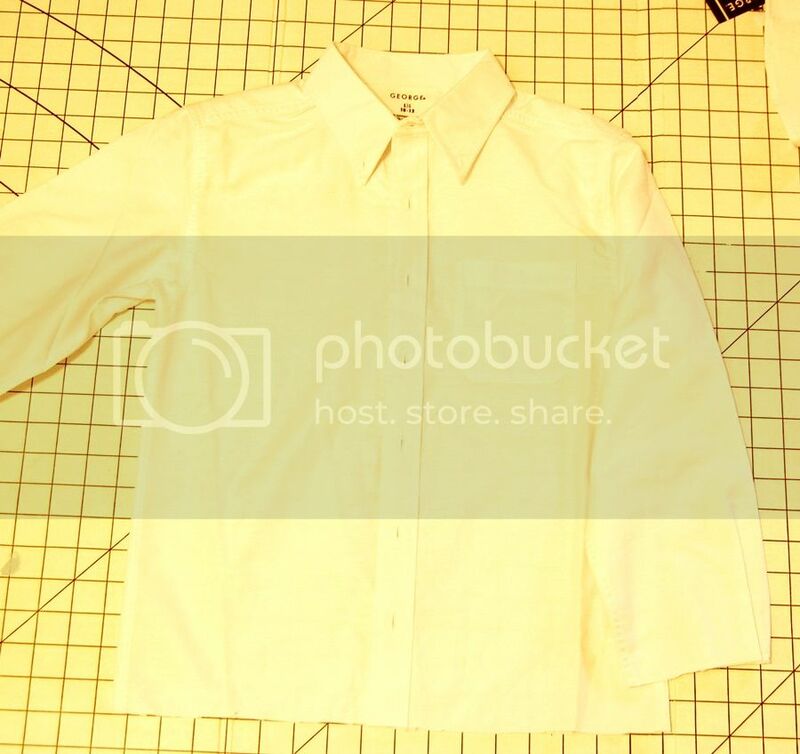 I just used a shirt of hers to trace to cut out a simple top. I learned the hard way not to use a knit tee. Cotton tops need to be much more wide. As you can see I just cut the sleeves in. This ended up being too fitted. 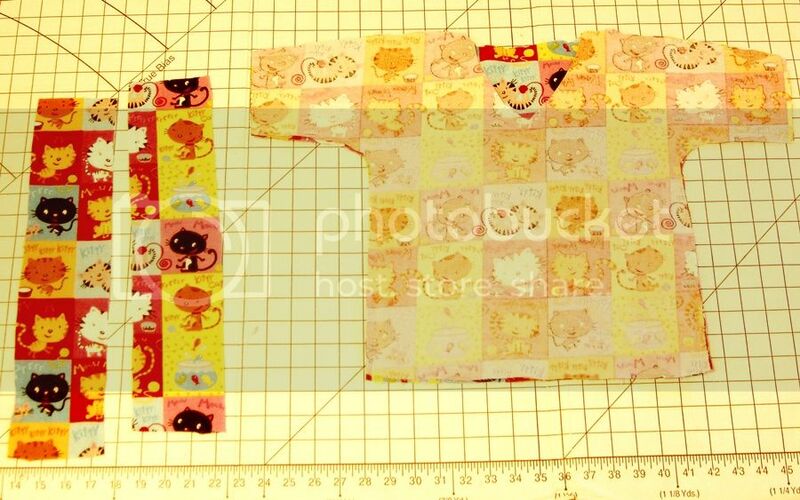 So I added those strips you see to the left all along each side seam. This made it perfect and was easy to do. I used bias tape for the edges of the neck. For her doctors coat, I bought a size large boys white button up. I cut all the buttons off. Then I cut off the sleeves after the entire cuff and hemmed. The bottom I cut evenly across and hemmed. 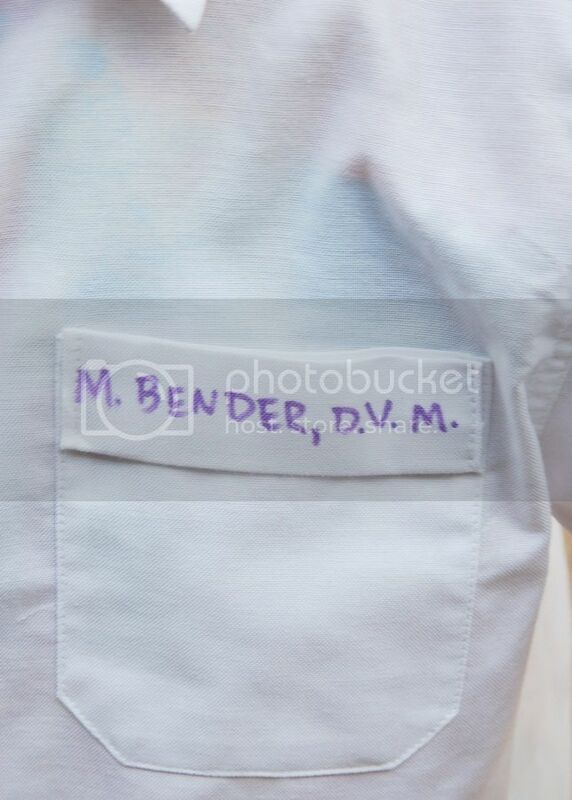 Then I used a scrap of the shirt and wrote Maressa's name with a fabric marker. Sewed it to the pocket. Yes, now I'm officially bonkers. 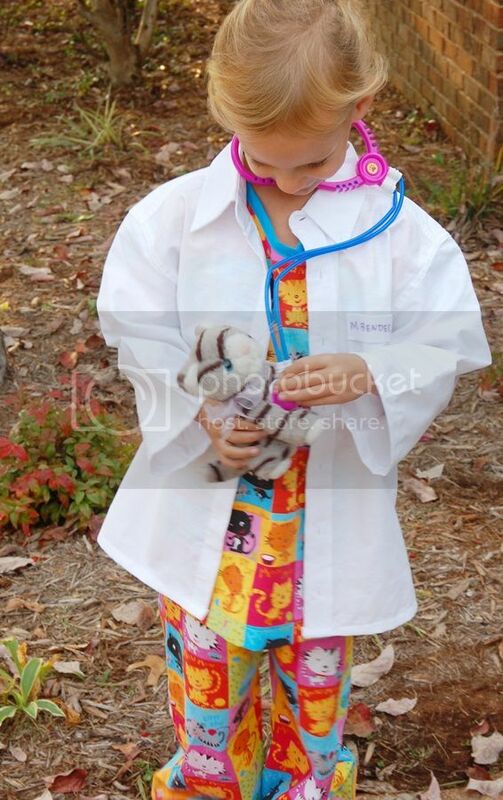 I reasoned by the lavish costume that she can use the scrubs as pjs. The lab coat can be used for play. Luckily, I don't have to make anything much for the others. Kalla is going to be a black cat. Black tee, black yoga pants, ears and tail from Target and we'll make her a cute collar. Micah is going as Flash and the mailman brought his costume. Zachary is going to be Robin. Course will have pics of all next week. What are your kids going as this year?